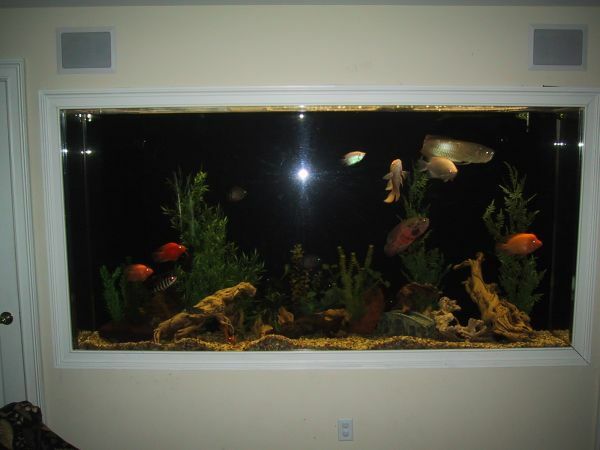 This is the perfect large size aquarium. If you purchase this new it will cost $7000-8000. The large volume PUMP is over $700 dollars. Only have a few fish remaining, the value you are buying is the tank, pump, and recycle tank. You can have all the rocks and decorations I have as well. Looking for trade value of $2600 or $2600 cash. Don’t respond if you are not ready to make a deal or if you have to “ASK” the wife. I will sell outright for $1800/cash. Minor surface scratches on the acrylic but nothing noticeable.